What is artichoke leaves? What is it used for? The artichoke is a round, perennial plant native to southern Europe, northern Africa and the Canary Islands. It was first cultivated by the ancient Romans and Greeks, and is now grown worldwide. The plant's petals and the "heart" of its flower head are considered delicacies in many countries; the plant's leaves and extracts are used medicinally. Artichoke leaves are dried whole or cut before being used in herbal remedies. The leaves are used for dyspeptic problems (such as disturbed digestion, indigestion or irritable bowel syndrome) and also to prevent the return of gallstones. Artichoke leaves increase bile production and urination, and have been proven to decrease lipid levels, indicating that they may be useful in preventing atherosclerosis. There is also anecdotal evidence that artichoke leaf extracts may protect the liver, and can help liver cells regenerate. How much artichoke leaf should I take? 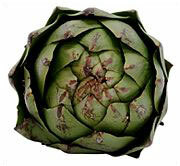 The amount of artichoke leaf or extract to be taken depends on the condition being treated. For digestive problems, most practitioners recommend 1 teaspoon of a liquid extract mixed with water, or 15 to 30 drops of an artichoke leaf tincture, mixed into water and taken three times per day. What forms of artichoke leaves are available? What can happen if I take too much artichoke leaf? Are there any interactions I should be aware of? What precautions should I take? Artichoke leaf and root has a stimulating effect on the biliary tract and should not be administered if there is a blockage of the bile duct. If there is a chance that gallstones are present, artichoke leaf or leaf extract should be taken only after consulting a health care provider. As of this writing, there are no known interactions with other drugs. Blumenthal M, Goldberg A, Brinkckmann J (eds.) Herbal Medicine, Expanded Commission E Monographs. Integrative Medicine Communications, 2000, pp. 10-11. Blumenthal M, Busse W, Goldberg A, et al (eds.) The Complete German Commission E Monographs, Therapeutic Guide to Herbal Medicines. Austin, TX: American Botanical Council, 1998, pp. 84-85. Gebhardt R. Antioxidative and protective properties of extracts from leaves of the artichoke (Cynara scolymus L.) against hydroperoxide-induced oxidative stress in cultured rat hepatocytes. Toxicol Appl Pharmacol June 1997;144:279-86. Gruenwald J, Brendler T, Jainicke C, et al (eds.) PDR for Herbal Medicines. Montvale, NJ: Medical Economics Company, Inc., 2000, pp. 44-46. Schulz R, Hansel R. Rationale Phytotherapie. Heidelberg: Springer Verlag, 1996.